THE ZIMBABWEAN superstar is racing against the clock to be fit to start for Giovanni Solinas’ side at FNB Stadium tomorrow afternoon, and he admits that it’s a ‘huge privilege’ to be part of the festivities. 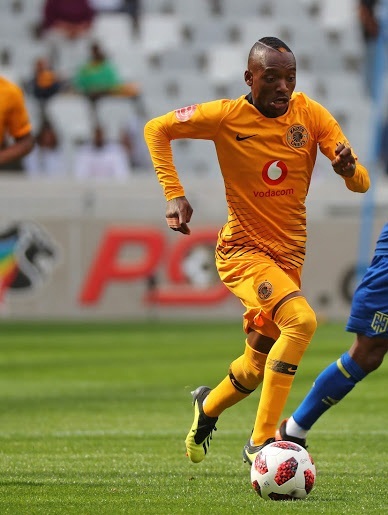 Chiefs have a torrid record over their Soweto rivals, Orlando Pirates, in the Absa Premiership of late, and Billiat will be eager to try and play his role in helping them pick up three points for the first time in nearly four years’. Chiefs striker Khama Billiat, will have to race against time to be fit in his first Soweto derby on Saturday. Speaking to the club’s official website, the 28-year-old, “The Soweto Derby is like no other local derby or game in the country. The whole country virtually comes to a complete halt when the two Soweto giants meet, and we know that it is an important occasion for the fans. Billiat knows that his side doesn’t have the best of form against Pirates, but isn’t too worried about it, adding, “We know it’s not easy, but I believe it’s not about the previous games or form, it’s what you do on the day as a team. We need to work very hard because we know that winning will bring confidence for the rest of the season. Meanwhile, if you are one of the 86 000 soccer fans attending the derby‚ you are advised to arrive early to avoid the traffic chaos that could unfold when the two teams meet. This is after Stadium Management SA revealed on that there would be no trains ferrying fans to the highly anticipated 160th Soweto Derby between the two Soweto rivals. even different security companies and they will be helped by Metro police and SAPS to direct the traffic.